51, transitioned to be with his Lord and Savior Jesus Christ on Sunday May 10, 2015. 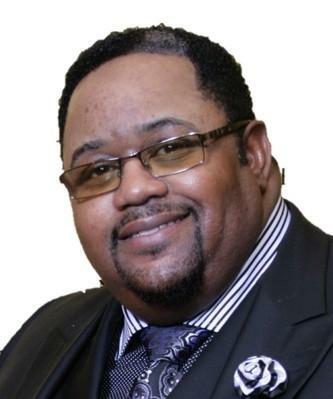 He served as the proud Pastor of The Greater Bethel Baptist Church in Akron, OH for over fourteen years. He is survived by his loving wife and best friend for 31 years, Jacqueline Elliott; sons, Earnest Maxwell (LaTonya) and Melford Elliott; his mother, Annie Christine Elliott-Summers; sisters Mary Ann Clark-Bivens (Bill), Ruth Caffey (Darrell) and Angela Elliott, brother William Nash (Vanessa); three grandchildren, Christopher Maxwell, Jazmine Collins and Tiffany Cone; one great-grandson, Isaiah Maxwell and special godson, Jewan Surles III; and a host of other relatives and friends. Funeral is noon Saturday at King Solomon Missionary Baptist Church, 1620 Anderson Street, burial Green Meadows Cemetery, visitation 10 a.m. – 12 noon Saturday.